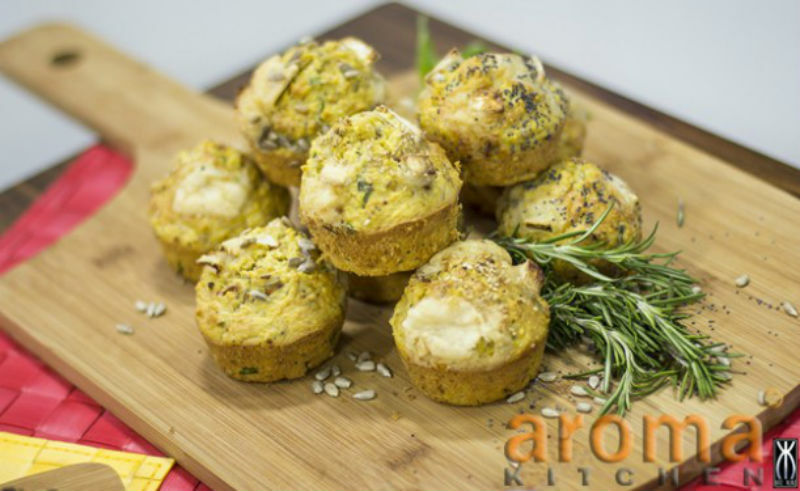 An easy, delicious and healthy couscous muffin recipe. Entertain your guests or indulge one as a snack. 1. Start this recipe by heating the oven to 200oC and greasing a 12 hole muffin tray with olive oil. 2. Place the couscous, mint, flour, baking powder in a bowl. 3. Season well with salt and pepper, mix together well and put aside. 4. In another bowl, mix together the eggs, olive oil and milk. 5. Add this mixture to the flour mixture and mix together. 6. Immediately stir in the mixed seeds, goats` cheese and sun-dried tomatoes. 7. Divide the mixture between the muffin holes, making sure not to overfill as they will spill. 8. Bake for 15-20 minutes until they have risen and browned. 9. Remove from the oven and serve with some mixed salad leaves either hot or cold.